We’re celebrating an anniversary this year. Every new year is a constant reminder to set our objectives for the coming year. This year is a really special year for us. 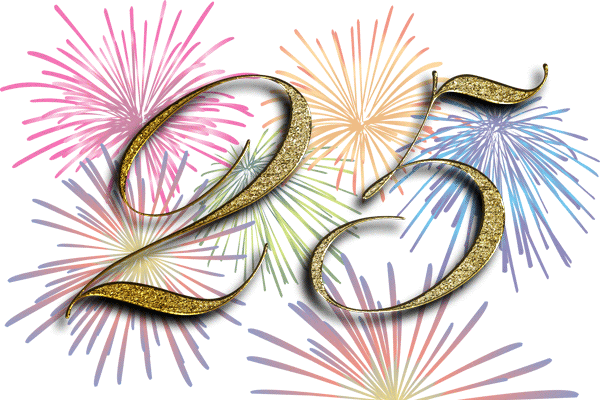 It marks an important milestone along our 25 years path. A clear indication that we chose from the beginning the right road with professional translation and consulting. We’re proud of this achievement. A special thank you goes to all our clients and friends. Without your trust and loyalty our path would have been long and hard. Our experience and know-how combined with systematic evaluation of the most competent freelancers will assure you at all times of quality translations meeting your highest standards. We hold to our promises and deadlines. There are no 'ifs, ands or buts' about it. We scrutinize all jobs before returning them to our clients, following systematic reviewing procedures. For especially demanding jobs, we may even call in additional experts. We organize translations in every possible lan-guage combination. In any specialty area. Even unconventional jobs that go beyond traditional translation services can be tackled rapidly and efficiently. We have created a network of language professionals in order to assure that we always have sufficient free capacity on call, even for the most demanding job. Modern communication media and flexible working hours, 24 hours a day when necessary, make even the tightest deadlines feasible. Our job quotes are binding. All of our clients know exactly what they are getting for their money. For jobs extending over longer time periods, we regard it our duty to keep our clients informed of the current status at all times. Quality, deadlines, and costs are strictly maintained. Our small, dynamic team vouches for continuing personalized and individualized customer service. We enjoy a trustee relationship with our clients. At all times and according to the strictest inter-pretation of the word. All documents entrusted to us are treated as classified. It goes without saying that our freelancers are dedicated to the same commitment to confidentiality. High tech. Our office reflects this state and is provided with all state of the art equipment. Our translations are delivered in all regular formats by e-mail, data carrier, fax or hard copy according to customer wishes. Our team of professionals is constantly on call. At all times. Even over and beyond normal business hours. Everything going beyond conventional translation and anything even remotely associated with language. Translation logistics. For the ‘spoken and written’ word we’re the professionals.